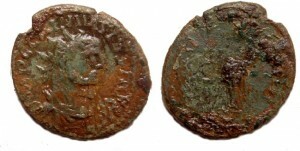 The issues of Rouen have been comprehensively catalogued by Beaujard and Huvelin, ‘Le trésor de Rouen et l’occupation de la Gaule par Carausius’ Histoire et Numismatique en Haut-Normandie, Cahier des Annales de Normandie 12A, 1980, pp. 63-87. However, since their landmark paper on the series appeared in 1980 a number of additional specimens have been noted, either in public collections or in trade. What this paper aims to do is bring together an updated English language catalogue of the series to students and collectors. 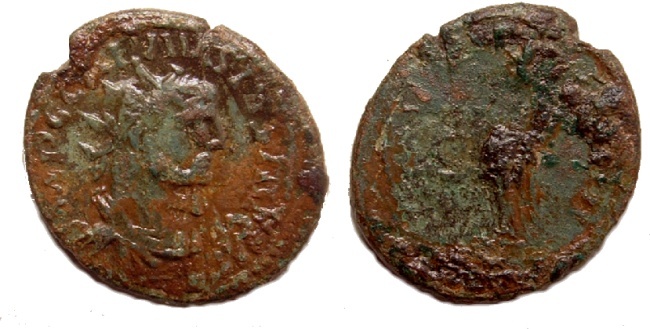 The Rouen coinage was, in all probability, struck at the beginning of the reign of Carausius . The familiar likeness of the emperor from the products of the mints in Britain is not preset on the Rouen coins and they have a crudeness that perhaps betrays their manufacture by an unskilled workforce. 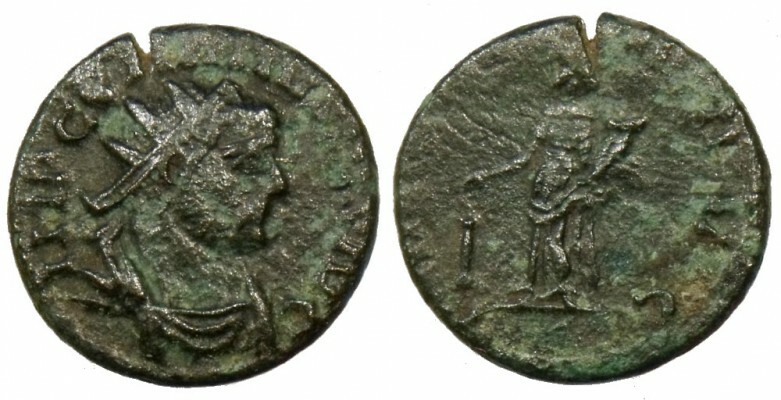 The crude nature of some of the die cutting should not take away from the originality of some of the coin designs, Tutela being a common reverse from this mint but virtually unknown for use at any other mint or time of the Roman imperial coinage. 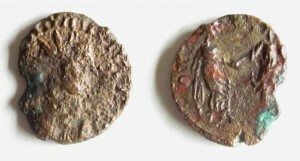 The coinage at Rouen is known in gold and also as base metal radiate coins (“antoniniani”), unlike the coins marked RSR, an early mint striking in Britain, probably London, for the usurper where a series of good silver laureate bust coins (often called “denarii” in modern literature due to their similarity with the silver coin of the empire that had mostly disappeared by the mid third century). 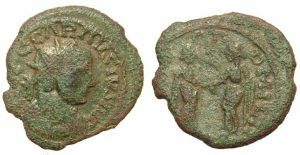 Beaujard and Huvelin split the base metal radiates into three main series using the obverse legend and the attributes of the bust to make this distinction. Series 1 has the titles C(aesar) and P(ius) F(elix) married with a radiate, draped and cuirassed bust viewed from the front. The second series drop the P F titles but retains the bust type of radiate, draped and cuirassed. The AVG at the end of the obverse legend may also be rendered as IVG. 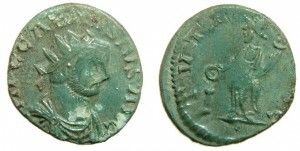 The third, and in their view final, series is also without the P F titling but now the bust type is radiate and cuirassed viewed from the front. Again the title Augustus may be rendered as IVG. I wonder whether, given the apparent reverse die linkage recorded between the coins of series 2 and 3, these should actually be regarded as one contemporary series. 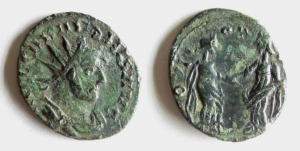 When looking at specific coin types there seems to be some degree of variability in, say, the rudder of Fortuna. Also, when considering the Salus coins some are reported as being without a snake around the altar. This may or may not be a real difference, however, on some coins where the snake is not reported it may be seen rising to the left of the altar, rather than being entwined around it. B&H -; RIC -;”Adrianus” collection. 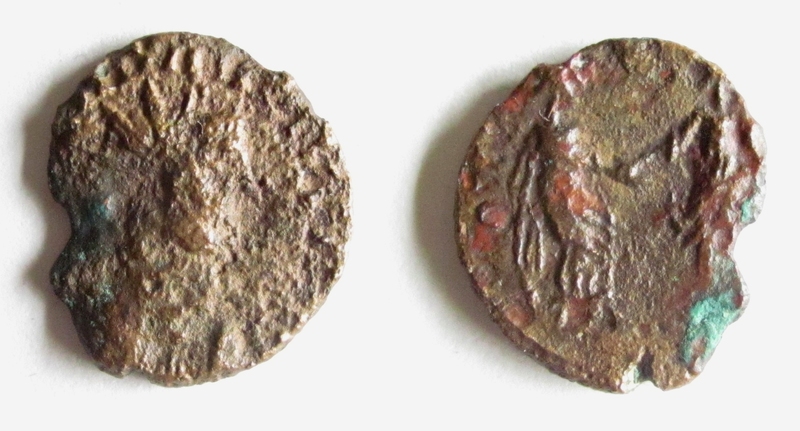 This coins is a reverse die duplicate of another Concordia coin of Adrianus from the so called series 3.